The consolidation of China’s coast guard is widely viewed as positive. Is it really? 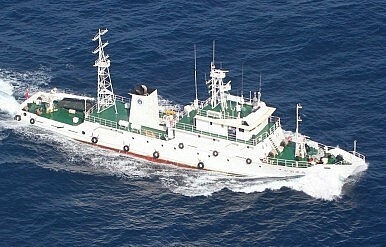 Four ships from the newly established China Coast Guard (CCG) were deployed in the East China Sea near the disputed Senkaku/Diaoyu Islands on July 24, as reported by Kyodo News and Xinhua. The ships have also been sighted in the area around Mischief Reef according to a confidential Philippine government report. While Chinese government vessels have consistently entered both seas over the past year, this marked the first time ships did so under the restructured State Oceanic Administration (SOA). On June 9, the State Council issued new guidelines and regulations on the structure and functions of the SOA. These new regulations were part of a sweeping institutional reform package released by the State Council following the 18th Party Congress in March. They provide further detail on the streamlining of China’s sprawling maritime law enforcement entities: the SOA, under the Land and Resources Ministry; the CCG, under the Public Security Ministry; the Transport Ministry’s Maritime Safety Administration (MSA); Fisheries Law Enforcement Command (FLEC) under the Ministry of Agriculture; and the General Administration of Customs (GAC). According to the plan, the unified coast guard will be split among three regional operation branches (North, East, and South China Seas), with a total of 11 coast guard commands and their flotillas. SOA Headquarters itself would be staffed by 372 people, led by one director; four deputy directors; and one additional deputy director concurrently serving as China Coast Guard Bureau director. Several responsibilities in the area of maritime security have been strengthened or reallocated to SOA, including maritime rights protection, unification and standardization of planning and activities, drafting regulations on maritime area usage, and maritime law enforcement efforts. The new regulations also provide details on the division of labor between SOA and other ministries, such as the Ministries of Land and Resources, Agriculture, Transport, and Environmental Protection and the General Administration of Customs. Guidance regarding SOA’s division of labor with the Ministry of Public Security (MPS) was comparatively muted, however, stating only that the CCG under SOA would conduct “maritime rights protection and law enforcement” and would receive “operational guidance” from MPS. A unified coast guard command is expected to enhance coordination on law enforcement procedures in a multitude of areas that had previously been fragmented and fraught with redundancy, and it should increase the efficacy of policy implementation across these areas. However, the extent of this “unification” is yet to be fully fleshed out, and questions of personnel training, fleet build up, jurisdiction, and other such details are yet to be resolved. For instance, the question of whether all ships operating under the CCG will be armed is one that many regional experts are watching closely. Prior to the restructure, most vessels across the five agencies were unarmed, with a few exceptions (e.g. old CCG and GAC anti-smuggling units). While there were no visible weapons on the ships that patrolled around the Senkaku/Diaoyu Islands last week, it cannot be ruled out that CCG vessels will be armed in the future (and those vessels which are already armed are likely to remain so). This is especially the case if China opts to model its coast guard after other regional ones, such as Japan and the United States, which are equipped with small arms. Chinese experts have speculated that the new ships are likely to be similarly equipped with “light weapons” such as water cannons and “light machine guns.” Other sources report that the ships could boast more advanced communication systems and automatic deck guns as well. Where the CCG will be acquiring its vessels from is another area of uncertainty. The CCG will reportedly incorporate vessels from the five agencies as well as new and repurposed vessels. The new CCG will probably continue the practice of refitting decommissioned PLA Navy or commercial ships, including older frigates and corvettes as well as supply and service ships (such as the submarine rescue vessel given to Fisheries Law Enforcement Command (FLEC) in the South China Sea).